In what would be a world first, the government of President Emmanuel Macron wants to phase out all oil and gas exploration and production in France and its overseas territories by 2040. Sounds dramatic, but the EU nation has very little to lose as it sets its sights on a greener future. As The New York Times reports, Macron’s government will introduce the proposed legislation to the French Cabinet later today, with hopes of having the bill passed by the end of the year. The French government is striving to make the country carbon neutral by 2050 by pumping the brakes on greenhouse gas emissions—the primary instigator of human-caused climate change. Under the new bill, France would no longer issue any exploration permits for oil and gas, and all current allowances would be gradually curbed and phased out over the next 22 years. No shale gas permits would be issued, either for exploration or extraction (as it stands, fracking is currently illegal in France, but the proposed bill takes it further by prohibiting all methods, both current and speculative). The target year coincides with the country’s plan to end the sale of gasoline and diesel vehicles by 2040. The legislation is also in step with the French government’s commitments under the Paris Climate Agreement, and its efforts to promote renewable energy. The country is hoping to drop is reliance on nuclear energy to 50 percent by 2025 from the current 75 percent. This bill would be quite historic if it passes, but France is in a very good position to do this right now, and the move is being seen as largely symbolic. Unlike the economies of the United States, Canada, Russia, several Middle Eastern nations, and others, France’s dependence on fossil fuel extraction is very low. 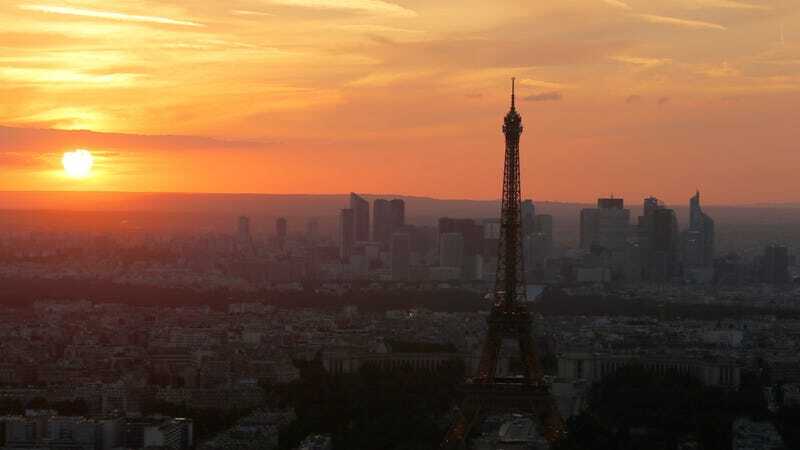 France only produces about six million barrels of hydrocarbons per year, ranking it 71st in the world. Russia, on the other hand, produces 10.5 million barrels each day. What’s more, French oil and gas production represents a mere one percent of its total consumption. France will continue to import and even refine oil after the 2040 deadline. France’s primary oil company, Total, has permission to seek out oil deposits in overseas territories, such as Guyane Maritime in French Guiana. It’s not immediately clear how the pending legislation will affect the company, and it has yet to make a statement about the proposed measure. Symbolic or not, this move by France should make Big Oil at least a little bit nervous. The future of fossil fuels is starting to look increasingly grim. And hallelujah for that.